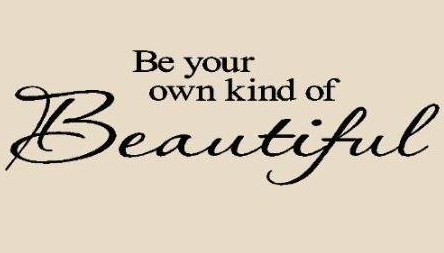 "Be Your Own Kind of Beautiful" Removable Wall Sticker Only $2.73 Shipped! You are here: Home / Great Deals / Amazon Deals / “Be Your Own Kind of Beautiful” Removable Wall Sticker Only $2.73 Shipped! “Be Your Own Kind of Beautiful” Removable Wall Sticker Only $2.73 Shipped! “Be Your Own Kind of Beautiful” Removable Wall Sticker for Only $2.73 Shipped!